Although you can find 'Smashbox'Cosmetics in most Department stores in England, they have only recently launched their UK website.A couple of months ago I signed up to receive a free sample in honour of their website launch so when it came through the post it was nice little surprise as i'd forgotten all about it. The sample was a 7.1ml tube of Smashbox's Photo Finish Luminizing Foundation Primer and to be honest I'm not a great primer user so it was a great product to try. It's a good sample size and so far I love it, so much that I'm considering purchasing the full size. 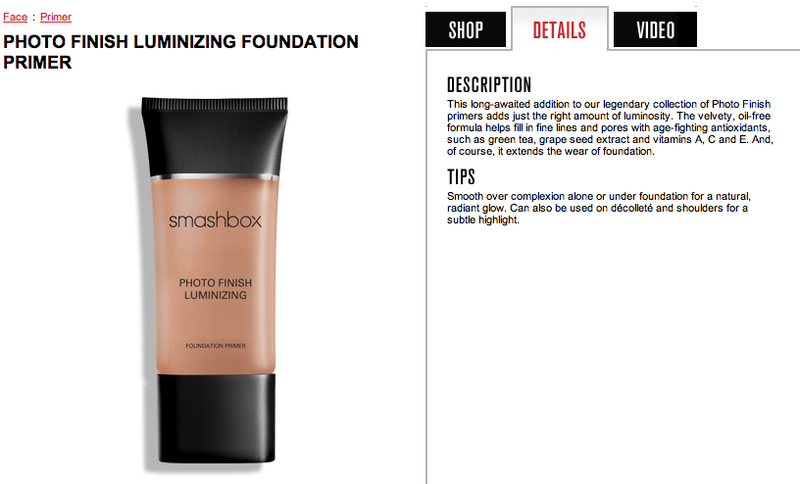 This primer is silky soft, gives you a nice glow and makes your make-up go on effortlessly. So Far, So Good!